For the second in my series of blog interviews with computer science educators I present Kathleen Weaver from Hillcrest High School in Dallas Texas. Texas is a big hub of high school computer science education by the way. Here now Kathleen. Public high school in Dallas Texas, urban school, mixed demographic -- from free and reduced lunch to massively spoiled rich. Every religion, every ethic group you can think of, over 50 home languages. Needed to make a major change -- either divorce or job change -- decided to ditch the career and keep the husband. I’m it. We’ve got PreAp / AP CS which meets together and don’t have much call for. Robotics is new this year. Game programming was new last year, widely popular but doesn’t go the way I want it to. Web design has been around for a long time, again widely popular but doesn’t go my way. We have an intro course, traditionally was basic, revamped it last year, and well, it’s an intro course. I try to make things student centered. However their ambitions are a lot bigger than their will power. See above. What they want to learn is a larger subset of what they actually want to do. They generally leave me alone, as much as they can. Success in later life. I’ve been doing for 21 years and I get a lot of feedback. Network support -- kid was raised to be homeless, I swear. Recently gave my classroom $50 through Donor’s Choose because I help her understand her husband. This looks like a very good piece of legislation. The basic idea is not to create new programs or additional spending but to reduce barriers to creating more computer science programs. More information at About the Computer Science Education Act on the Computing in the Core website. 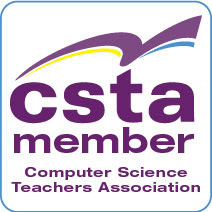 The Computer Science Education Act (CSEA) is a piece of legislation that has been introduced in the US House of Representatives that would make important changes to federal education laws to remove barriers to computer science in K-12 classrooms nationwide. Read a summary of the issues the bill addresses and what the bill does here. Code.org, Computing in the Core and its members, and K-12 computer science education advocates support this bipartisan legislation. This is something we can get behind by telling our Congressional representatives that they should co-sponsor and support this bill. My rep has already heard from me. Has yours heard from you? Second year in a row I am not at ISTE this week. I understand that there are twice as many computer science sessions this year than last. That’s a good thing and something I believe that ISTE really needs to continue. I hope to go to ISTE next year in Atlanta though. In the mean time I do have links to share with you all. Ken Royal @kenroyal wrote a great post on Mobile Learning: Top 7 Recommendations Digital-aged Instructional Technology tips. Microsoft's innovative Project Spark to let users create, share games on Xbox One, 360, and Windows 8. Will this be the big new thing in game creation? Check out the Project Spark FAQ. Teacher Education, not AP CS Good comments from Garth Flint on the need for more teacher education in computer science. From @NCWIT: Learn How to Celebrate Girls in Computing in Your Region. Have you seen the new http://Code.org Check it out. Peter Beens ‏@pbeens Sent out a link to pynguin - a Python Turtle Graphics Application. Well worth checking out if you are using or thinking about using Python in your classroom. A recent report on the quality of teacher training has stirred up a lot of discussion about how teachers should be prepared. With the ongoing shortage of qualified computer science teachers (putting aside the discussion of what being a qualified computer science teacher actually is) this has some relevance for CS education. I was struck by one set of comments by Arthur Levine in Inside Higher Ed. I know another profession that is that uncertain about how to education their professionals – software development! We get hit with a double whammy. On on hand we don’t really know how to train our teachers and on the other we don’t really know how to educate our future professional developers. It’s a mess. The debate over software being a profession or a craft (or an art to really mess things up) is one of long standing. I’ve been hearing it throughout my almost 40 year career. Google reports (In Head-Hunting, Big Data May Not Be Such a Big Deal) that something around 14% of their engineers are not college graduates. Google is pretty fussy about who they hire so that means something. Any discussion of development of software professionals will include loud voices declaring that formal education is somewhere between useless and downright harmful. I lean closer to the craft idea both for teaching and for software development. Now software development is not all or even most of computer science. I think there is a lot of science and profession in CS. Developing software though remains something of a craft. It is something that is best taught through mentorship (think apprenticeship) rather than just rote learning. As someone who entered teaching though non-traditional path I think the same about teaching BTW. Now be aware that most modern apprenticeship programs include a pretty fair amount of classroom teaching. It is not all on the job. I like that mix. I think that computer science and software development can benefit from a mix of classroom and apprenticeship theory. This is why I am a huge fan of project based learning. Projects open the doors to out of the textbook thinking. They allow students to move in their own directions while at the same time taking clues from an organized and well thought out plan for learning. My problem with purely self teaching is that with pure self teaching the student has an unprepared teacher. There is a tendency to narrow ones focus on the particular project that one has taken as a learning platform. A good teacher expands options rather than limits them. I see this as especially important in K-12 computer science. Our goals should be to help students expand the range of possibilities. Let them get focused later. Point them in directions they are not aware of themselves. Give them projects that both get them excited and motivated but that also force them to learn how to learn and move in different directions. It has been said that education is not about filling a bucket but starting a fire. Projects are fire starters. Last week there was an announcement of a multi-year $5.2 million grant from the NSF to fund creation of a new Advanced Placement Computer Science course called (working title at least) AP CS Principles. This is based on the work done by many over the last several years to create a new college level computer science course that would be accessible to more students and teachable by more teachers. (See the CS Principles website) Exciting news for many people who see a lot of potential in this course. But not everyone is excited. A blogger and college professor who posts under the name of Gas Station Without Pumps took on the question on his blog with a post titled Millions for a fairly useless new test. He is skeptical that the course is really college level. I’ve heard the same thing expressed by others. Now the course, or some variation of it, is being taught at a good number of colleges and universities but as this blogger points out there are other courses offered that we don’t have AP level courses for because they are, perhaps, not such high level courses in the first place. He also has some concerns that this “easier” AP CS course will eventually push out the more strenuous AP CS A (what I like to call APCS Java) course. I’m not so worried about that. I suspect that schools who teach APCS A now will use APCS P as a feeder course in hopes of expanding the total number of students learning computer science. This new course may help a lot of schools that currently only get to teach one CS course (APCS A) to expand to two courses. Overall I continue to have mixed feelings about AP courses in general and AP CS courses in particular. On one hand AP courses give a subject a sort of legitimacy that they don’t always have without an AP course at the top of the scale. The states that allow for an AP course to count as a graduation credit in either math or science only allow the AP CS course to count. Will this new APCS course count in the same way that APCS A does now? One hopes so but nothing is certain. It seems unlikely that in the current political climate we could get states to set a standard for a course that counts outside of the AP curriculum. This is something I believe needs to happen. We don’t see only AP courses counting for graduation in many (any?) other subjects do we? Schools with no AP courses at all manage to give out state backed diplomas as far as I can tell. This makes CS still very much a second class subject. So there is good and bad in the APCS program. I think we will not really know if the new course is really college level until we see the way it is evaluated. For that we largely have to trust the people who develop the test and than see what universities decide to with with the results of the test. It’s a multi million dollar gamble for computer science education. NSF and other outside money (Google is spending some to support this as well) the College Board is largely getting a free ride. They have little to lose and much to gain. First Monday of “summer vacation” and my grading is done and have been submitted. You know what that means! Yep, working on my lesson plans for August. Two brand new courses to teach and I am determined to be ready for them. OK, yeah, maybe I have some fun planned as well. Since it is Monday I do have links to share. I hope you’ll find some useful. First off, if you are going to ISTE 2013 you really want to take advantage of a free Microsoft Surface RT that is available to eligible attendees. You need to bring some paperwork so go to the Windows in the Classroom Surface Experience Project site, read the details and get the paperwork done before your central office clears out for the summer. I’m not going to be at ISTE this year and I am very disappointed about that. Looks like more computer science sessions than they have had in years. And do stop by the Microsoft booth. I may not be working at Microsoft anymore but a lot of good people who care about education are. Should All High School Students Learn Programming? While an obvious YES to me not everyone agrees. Computer Scientists Get Wet talks about the way computer science is getting deeply involved in all the other sciences. 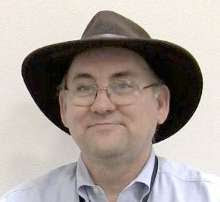 A reminder that I keep a list of computer science educator blogs is available at Computer science education blog roll Looking for any I have missed. A recorded session from TechEd 2013 - Building Apps with the Kinect for Windows SDK – is available. yet one more thing I will be looking at for ideas to use in class next school year. Wow! Free computers. Hard to ignore that one. If you are heading out to San Antonio for ISTE 2013 Microsoft has a deal for you. They are giving away free Microsoft Surface RT computers to attendees from eligible schools. There is a some simple paperwork to make sure no ethics violations take place. The computer is for the school and for academic use after all. But what a deal! You must register online and have your school official and/or ethics officer sign a gift acknowledgement letter provided to you by Microsoft, and adhere to all the other Windows in the Classroom Surface Experience Project terms. Offer ends June 25, 2013. Please see for project details and full offer terms and conditions. The project is called the Windows in the Classroom Surface Experience Project and it seems like a pretty good deal to me. If I were going to ISTE I would sure take advantage of it. I don’t actually have a Surface RT myself. But I’d like one. I have a Windows 8 Slate and I like it but a Surface would be better for what I want a slate for. The Surface RT doesn’t have the ability to run traditional Windows Apps and I’d still use my Samsung for developing using Visual Studio but the Surface should be ideal for TouchDevelop work and with a great web browser and the RT versions of Office I’d be pretty well set for everything else I do. Especially with that cool keyboard/cover that my Samsung doesn’t have. So this would be great for travel. I think it would be great in the classroom as well. There are some apps I was looking at using in the fall already at The Teacher Collection Apps site. Seating charts, lesson planning, essay grading and more. This is a big risk for Microsoft BTW. They are spending a ton of money on it (I assume – I have no inside information since I’ve been gone from Microsoft for 9 months or so). I suspect that they believe (hope) that once teachers get these in their hands and start using them they will find them as useful if not more useful than iPads. If teachers give them a fair chance that may be true. If if does it will help Microsoft combat the “oh its an Apple isn’t that wonderful” attitude that seems to be pervasive in education. If Microsoft is smart these Surfaces will come pre-loaded with a bunch of apps so that teachers don’t have to do too much looking for them on their own. Lucas Moffitt’s Teachers Collection or other apps like that would be a good start. Ray Fleming in Australia has a good list of Windows 8 Education Apps and of course the Windows 8 Store shows many as well. So it should not be too hard to find something useful. We’re working on a new course for next year. It’s based to some extent from the Exploring Computer Science course but with some modifications to fit our school and time frame. In short we have a lot to cover in a short period of time. This means that I want to mix some topics. Or rather have some learning exercises that let us talk about a couple of things. So I think we may count M&Ms. So we’ll get data for a spreadsheet project, talk about parallelism and use “the cloud” which is becoming so important for students to know about. Three birds - one project. Oh and kids get candy which seem to motivate them. I just have to make sure the teachers who have them in following periods don’t find out I am sending them kids hopped up on chocolate. What do you think? What would you add? Or is this a bad idea? My latest TouchDevelop video demo. In this one we use a simple turtle graphics program to demonstrate: Turtle graphics, a basic loop, and some TouchDevelop editing features that you will find useful. I found the mark function which I demo here to be very useful. It allows one to cut or copy sections of code very easily. Perhaps even more useful it lets you select some code and then surround it with other code such as a loop or an if block. This makes improving code very easy. You will see one example here as I first remove some duplicated code and then surround the remaining code with a loop making the program more simple and more powerful/useful at the same time. Finals today and tomorrow. Wednesday is last day for faculty and I’m done with school for the summer. Big plans though. I want to make a lot of videos, create all of my speaking PowerPoints, get projects ready and generally be ready to hit the ground running when the new school year starts. Oh and take some time to relax as well. I’ll be posting the videos as I make them over the summer. Maybe that will get me some feedback to make them better. And I’ll try to collect useful links like the ones below. Choose Computer Science Nice video to encourage students to study CS. AMA: Interview with Cryptographer, Computer Security Expert Jon Callas I met Jon when we both worked at Digital Equipment. Some years ago when I had a student who wanted to learn about cryptography as an independent study Jon was very helpful. This interview is an interesting read. Tips from an AP Reader Good suggestions for APCS students. Read them, save them, and share them with your AP students in the future. From the @koduteam: It's time to announce the arrival of additional Kodu curriculum materials for instructors! The Challenge of Teaching Computer Science (in Brazil) By Steve Cooper, president of the CSTA, on the CSTA Blog. How Kids Can Learn to Code About a Codecademy Kids for the iPad app to help more kids learn how to code. We’ll see how it develops. The latest CS Bits & Bytes from NSF CISE with a focus on Multi-core processors. Girls left out of tech revolution at (New York) city schools. Pretty sad and all too common. Vicki Davis (@coolcatteacher) wrote about me on her blog at How we can teach computer science to every age with a link to a podcast interview we did together. My blog post on Programming With Blocks continues to get a lot of traffic. I recently updated it with with two more programming tools. We're Not Ready To Teach Kids To Code is about one of the huge problems in computer science education – untrained teachers. With support from @google: K-12 educators: Learn how to program w/ Scratch in a free, online Creative Computing course. Why more women in IT would benefit everyone Something I’ve been saying for a while. I’ve decided that a tool as visual and touch enabled as TouchDevelop lends itself to video instructions more than text based ones even with a lot of pictures. So here now is “Hello World” TouchDevelop style in a video. There seems to be an endless stream of articles these days on two closely related topics. The shortage of people in technology who are not white or Asian males and the overall shortage of people in technology. It seems clear that if we had anything like the percentage of women and non-Asian males learning computer science and looking for jobs in the field we wouldn’t have any shortage at all. The big tech companies wouldn’t be asking for more H-1B visas and we’d have a greater diversity of people and thoughts in the field. So I have a theory that the geographic area that first gets a good handle on training these demographics will have the best chance of becoming the new center of the tech universe. Here’s my logic. The businesses go where there is the right combination of talent and money. Sometimes the money moves to find that talent and sometimes the talent moves to where the money is. But money moves more easily than talent. People move where they are comfortable. Microsoft is in the Seattle area because that is where Bill Gates and Paul Allen felt most comfortable. Suppose you created an area where really smart creative women and other groups not well represented in technology felt comfortable what do you suppose would happen? I think you’d get something new and exciting. The best way to do that is to grow the talent in place. Personally I think this could happen in New York City. Yeah, I know tech pundits like to put NYC down as a place for technology but hear me out. New York is home to a large creative population. The arts. The theatre. Fashion. Advertising and much more. As for education, New York City has more college students than Boston has people! It is also incredibly diverse demographically. The current mayor has been a big promoter of bring more tech to the City as well (and this is key) adding it to the school system. There is the Academy for Software Engineering (AFSE) that is now finishing up its first year. A similar school as well as special new programs in 20 other high schools and middle schools will be starting in the fall. Imagine if all 400+ high schools in the city had a real computer science program? It could happen. Let’s look at something else. The tech companies that are in the city including local offices of big companies like Google, Facebook and Microsoft and a good many startups are embracing the idea of supporting more CS education locally. This includes in schools with many of these companies supplying mentors to AFSE. Some are starting to send engineers to the classroom though the Microsoft sponsored TEALS program. Outside of schools many of these same companies are looking to help programs like Girls Who Code which ran its first program in NYC last summer. Where may this lead to in a few years? Anyone’s guess but I think it has huge potential for the city. Could this happen in other places? Sure. And I really hope it does. To supplant Silicon Valley a geography needs more than just talent and money though. They need a lot of creativity. That is the edge that I think a more diverse set of talent can bring to the table. We have seen research that shows that mixed gender teams are more creative and productive than all male teams. We know that companies of all type benefit from gender and racial diversity. Silicon Valley has a huge male dominated culture that is not going to be easily changed. Companies can work hard (and some are) to recruit more women into the field but it is going to be an uphill battle. The culture that exists and to some extent defines Silicon Valley is not female friendly. Actually its not all that friendly to people who want a life outside of work! My personal opinion is that the field desperately needs more diversity of people. I think it is critical for the future of technology growth. While things look fine I think a kick provided by a big jump in diversity could really rocket things along. I hope it happens.